Thanks to generous support from Beyond Blues, we're bringing Kim Massie and her band out from St. Louis to show her how the Bay Area can dance! Kim draws her audiences to her versatile web of Blues, R & B, Jazz and Gospel. Singing since age two on her Momma's knee to the church choirs, clubs and concert halls, Kim calls to your sweet, soulful and sassy sense. 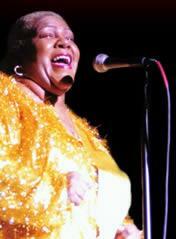 Kim has performed with the Legends-Oliver Sain, Mae Wheeler, Johnie Johnson, Jeannie Trevor, Bennie Smith and JR Reed. She has shared the stage with some of the best artists including Charles Glenn, Rich McDonough, Sharon Foehner, Tom Maloney, and Renee Smith. Thanks to Beyond Blues for helping bring in Kim Massie! Opening on Friday Night for Kim Massie is our very own Big Bones. 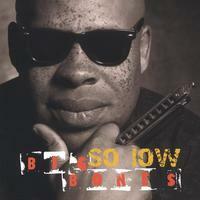 Big Bones no stranger to the blues world. 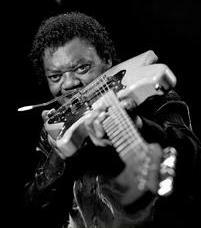 Bones is one of the San Francisco bay area's premiere harmonica playing Blues men. He's a player of uncommon sensitivity and style. His funky gruff rap-blues vocal style is compelling whether he's covering standards or his own compositions which features more urban ghetto-influenced lyrics. Bones recently returned to San Francisco from Germany where he..s been living & touring throughout Europe extensively for several years. While honoring traditional blues, he shows his versatility by being a part of the new vanguard style. This is the blues. It's not an imitation, not a reheated cover cd. So don't be confused about the content, It still features love gone wrong, love gone right, trials and tribulations, anticipations and resolution. We're putting together a bevy of dancers who play music, under the direction of one of our very own instructors, Solomon Douglas, to give you a taste of the Blues, dancer style. Solomon Douglas is a jazz pianist and bandleader, whose various bands have played at more than fifty exchanges, camps, workshops, and other events in North America, Asia, and Australia in the past six years. His influences as a pianist include Erroll Garner, Oscar Peterson, Gene Harris, Count Basie, and Thelonious Monk. Solomon will be heading the band with Karen Maria Capo on vocals, with help from blues instructor Kevin Buster on Sax, blues dancer Dan Printz on guitar, Seth Ford-Young from Jellyroll on Bass, and blues dancer Carsie on vocals. Over the years, Craig has earned respect from just as diverse an array of musicians and critics. Joe Louis Walker has called Horton a Great Musician, Great Singer, Great Band Leader. Tom Mazzolini, producer of the San Francisco Blues Fest, reported after last years event that, "Craig Horton gave one of the memorable sets that had people talking. It was impressive and it was deep mountain high! The real thing!" A gifted songwriter, singer and guitarist, Craig prides himself on playing on the edge and taking chances, playing music that comes from his soul. The spontaneity of his performances echo what hes feeling at the time. Craig has performed with such blues greats as Chuck Berry, Sam Cooke, Dinah Washington, Otis Rush, Muddy Waters, Buddy Guy, Freddie King, Sam Myers and The Mississippi Delta Blues Band. Guitarist, producer and bandleader Steve Freund, praised by Rolling Stone for his "masterful, no-nonsense guitar work" has relocated to the West Coast following 18 years as one of Chicago's most respected musicians. 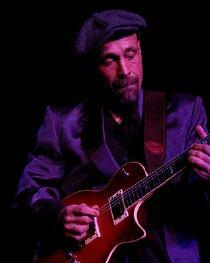 Widely sought after for his knowledge of and fluency in the Blues idioms, Freund has earned a reputation as one of the hottest players on today's blues scene. He served an unreproducible apprenticeship after leaving N.Y.C. In 1976, learning the role of second guitar behind Hubert Sumlin, Lee Jackson, Homesick James, Louis Myers, and many others. He spent two years working with Big Walter Horton and Floyd Jones, learning the deep blues and the idiosyncrasies that are part of the art.